On Sunday the 6th of November, the feast of Saint Fortunatus Martyr was celebrated in our parish. St Fortunatus’ feast is celebrated every year during the month of November. 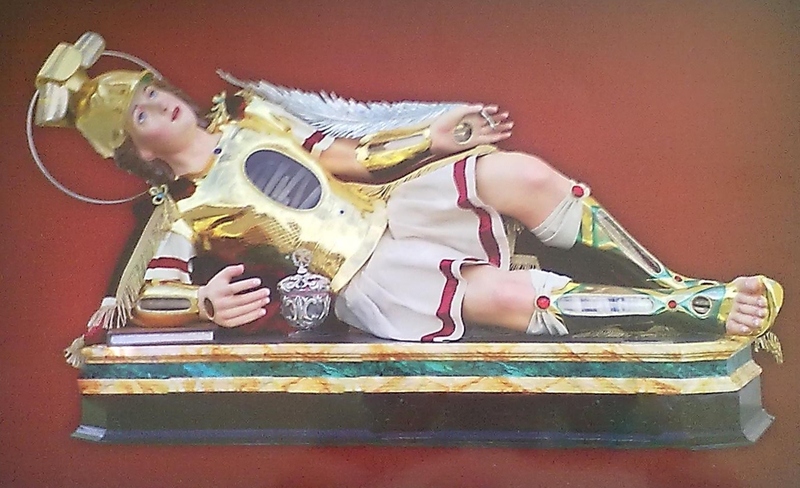 The statue of the martyr saint which is in a horizontal position is one among various other of the same style revered all around the island of Gozo, in both parishes churches and conventual churches alike. The statue in Zebbug was given to the parish church by the Mizzi family who used to have its private residence in Zebbug. The feast came its climax in the 3.30 p.m. Mass presided by the Bishop of Gozo Mgr. Mario Grech. Mgr. Grech spoke about the importance of Christian testimony in today’s society. The students who will be confirmed in the coming year were presented to the Bishop. After the Mass, the procession with the statue marched through the streets of the village; it was led by Can. Noel Saliba with the participation of the clergy and the Santa Marija Band. The procession came to its end at about 6.15 p.m. and then there was Benediction. A salute was given as soon as the procession began after the 3.30 p.m. Mass.